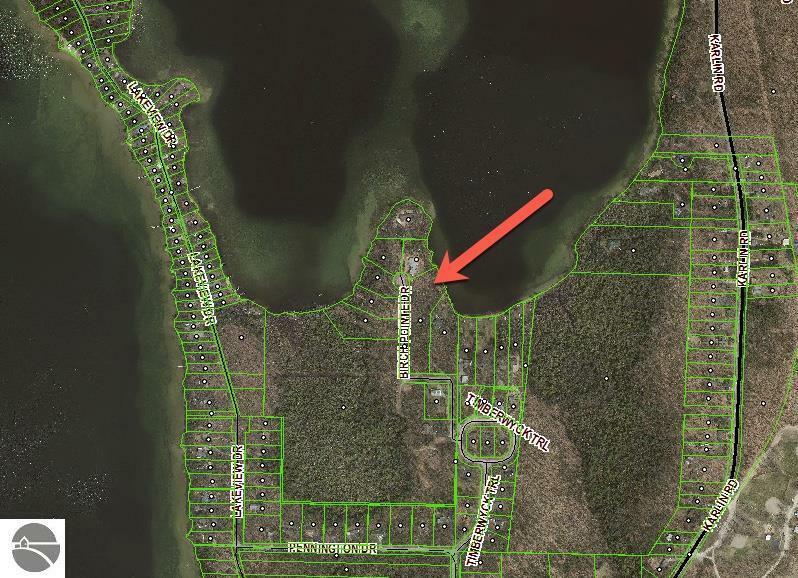 Wonderful Wooded Building site on Birchpointe Peninsula - Located just 5 minutes from world famous Interlochen Arts Academy on beautiful Green Lake (an all sports lake). The site faces East for gorgeous sunrise, is actually 2 parcels combined which allows the construction of a 2,000+ sq. ft. home and even an out building if you choose. The site is very private with blacktop roads and even natural gas. Situated on an area of new homes. Frontage is natural but has lots of potential as it is located on a protected bay. Waterfront Details: Priv Frontage (Wtr Side), Inland Lake, Water View, All Sports, Soft Bottom, Vegetation to Water Edge, Yes, 189 Ft.